Apple TV 4K to start selling from Rs 15,900 onwards. Apple TV having Specs prices of Rs 15,900 for 32GB and Rs 17,900 for 64GB, Apple TV 4K would deliver sharp, crisp images, richer, more true-to-life colour and greater detail in both dark and bright scenes, the company said in a statement. Customers will be able to order both Apple TV 4K models from September 15 with availability beginning from September 22 in the US and 21 additional countries and regions and worldwide soon after"Customers will love watching stunning 4K HDR movies from an impressive catalog on iTunes, while also getting automatic upgrades of 4K HDR movies already in their iTunes library and enjoying 4K content on services like Netflix and Amazon Prime Video, coming soon," Eddy Cue, Apple's senior vice president of Internet Software and Services. iTunes users will get automatic upgrades of HD titles in their existing iTunes library to 4K HDR versions when they become available. "Apple TV 4K" is built on A10X Fusion chip — the same chip that powers iPad Pro — and supports both Dolby Vision and HDR10. Siri and the Apple TV app can help users search and access content across Apple TV. 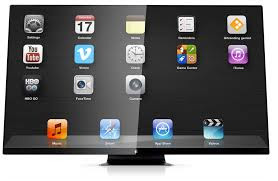 The TV app supports over 60 services on Apple TV and iOS devices, with more being added all the time. Users can share recent photos and videos from iPhone and iPad, including the best Memories, with friends and family on the biggest screen, with iCloud on Apple TV. It's also simple to send movies, TV shows, home videos and photos from iPhone or iPad instantly to the TV using AirPlay from your iOS devices.